You can earn 37 Ocelco Cash Reward Points on this product! 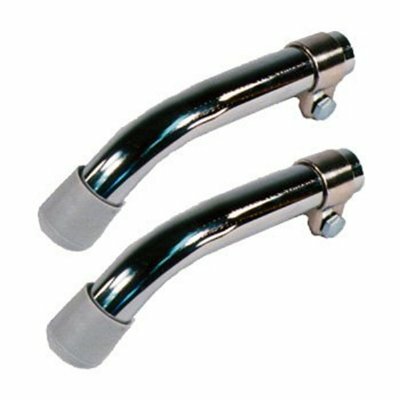 These anti-tippers fit standard frames for E&J, Theradyne, Tuffcare, Hoyer, Old Style Invacare, and others with a kick tube height of 3" to 5" from bottom of kick tube to floor. Fit on the outside of tubing.